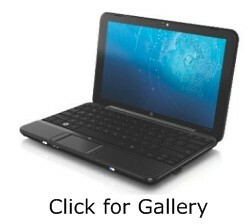 – HP Mini 1100 models are a part of the HP Mini 1000 series. – Compaq mini 700 is a European version with HSDPA. – HP Mini 1033CL: 102″, 1GB RAM, 60GB 1.8″ HDD, not sure on battery, at Costco in the US.